Castles and homes, our third time. See you there? 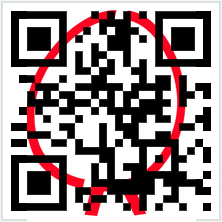 Wednesday 5 June – Sunday 9 June, 2013. All days from 10-18. Bente Bitton and I have been preparing for this show for a long time, it seems, and now we are ready for you! Bente Bitton is from Denmark. Her modular rings have been nominated “Brand new Copenhagen” in 2010 at an international jewellery and watch trade fair. I met Bente through one of my friends that had met Bente’s boyfriend, and who both thought we two should meet. Yes, I know, it WAS meant to be. And it was! We met, and ever since, have been great sparring partners. We both work in laser-cut acrylic, and that is our (starting) common denominator. The more we meet, the more we find other things that we have in common.Bente makes these fantastic modular rings that has parts in silver and colored acrylic that you can change as you like. If you don’t already have a ring, come and try one, and see how easy it is to assemble and change to suit your wardrobe or your mood. We will have the full range of award-winning DECOR and JEWLLERY, so come and see our new collection, and signature chandeliers as well as our other products. interdisciplinary African and Caribbean art and design exhibition. I am proud and excited to be a part of this exhibition for many reasons. To be in the Bargehouse, a historical building, in London. To be representing Jamaica, and to be among so many talented artists/designers. 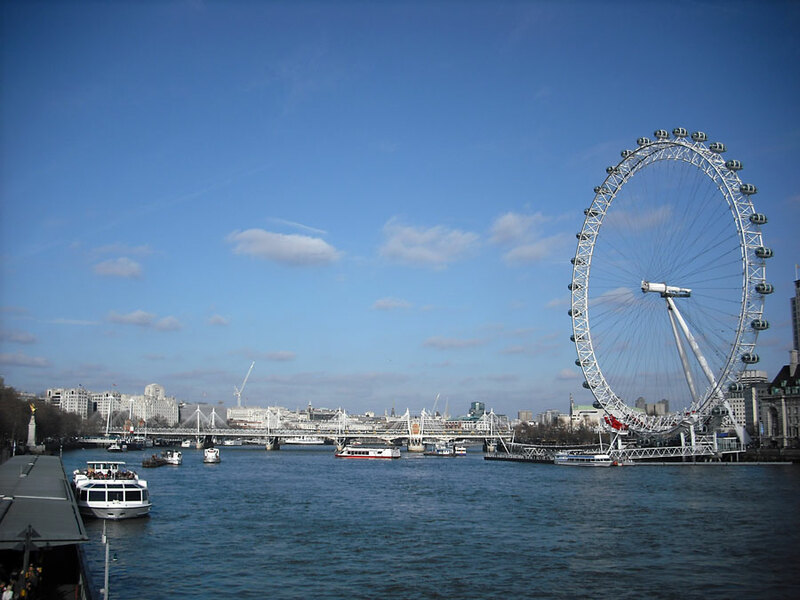 Walking from Waterloo station, one sees the top of the London Eye over the buildings – pretty spectacular. The view from Oxo Towers over the Thames river. The BEFORE view of the space where my lamps will be hanging. I still love the way the arms can be seen between each other in this smokey black version of my Claire de Lune Chandeliers. Chandelier mini mirrors on the wall.Samples of CDL wallpaper in the foreground. This wallpaper compliments the chandeliers wonderfully. This is the first time in its entire history that the London design scene will host such a comprehensive showcase of unique multi-disciplinary black talent with more than one hundred submissions from the UK, Africa, the Caribbean, USA, Canada, Japan and Europe. 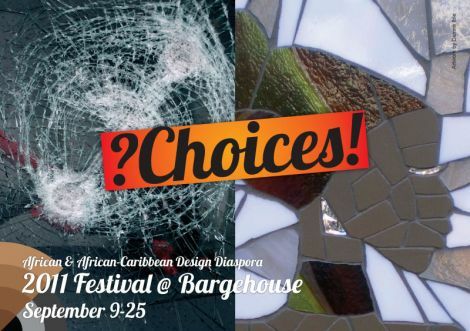 Coinciding with the Mayor’s Thames Festival, the London Design Festival and 100% Design in September, the main focus of the African and African-Caribbean Design Diaspora Festival 2011 ‘?CHOICES!’ will be the series of exhibitions and events at the Bargehouse, Oxo Tower Wharf on Southbank. For nearly three weeks all floors of the listed Bargehouse of the Oxo Tower Wharf complex will be transformed into a ‘Treasure Trove’ of creativity showcasing the amazing artistic talent of more than one hundred British and international artists and designers from the African and African-Caribbean Diaspora communities in the UK and overseas. 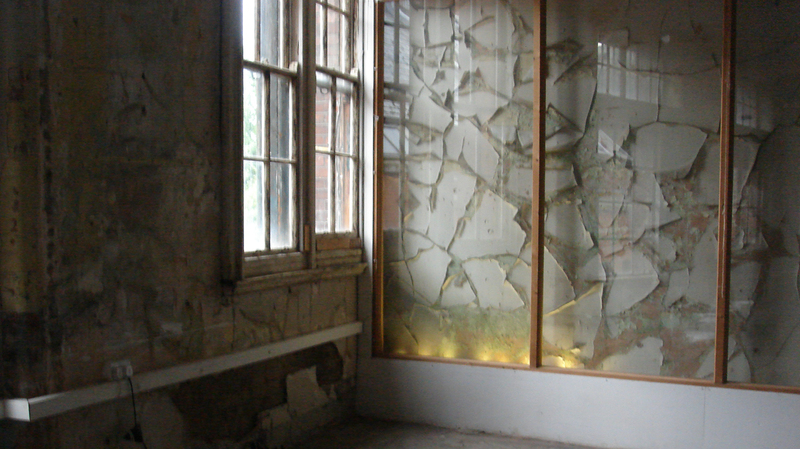 The exhibitions include multi-disciplinary mixed media, fine art, sculpture, photography, graphic design, illustrations, book art and publishing, film, videos and music, furniture, lighting, home textiles, ceramics, interior design acessories, architecture, interior design, fashion, fashion accessories, jewellery, performances and workshops. The BRITISH EUROPEAN DESIGN GROUP takes great pride in supporting emerging artists, designers and artisans of African and African-Caribbean origin and getting their talent visibly represented within the mainstream UK design scene through its three year African and African-Caribbean Design Diaspora Initiative in partnership with the London Design Festival.